Cambodia. Angkor Thom, Bayon Style, c. early 13th centuryThis masterpiece of the Bayon style radiates the poise and serenity that have earned it a place beside the Parthenon marbles among the most celebrated creations of beauty in ancient art. Its identity is uncertain - the Buddha, bodhisattva or even Shiva - but the features are unmistakably those of Jayavarman VII, the last great Cambodian ruler. This complex genius reversed the long decline of the Khmer empire, reunified the state and expanded its borders to their furthest extent, only then to exhaust its resources and ensure its eventual collapse within a few generations of his death. 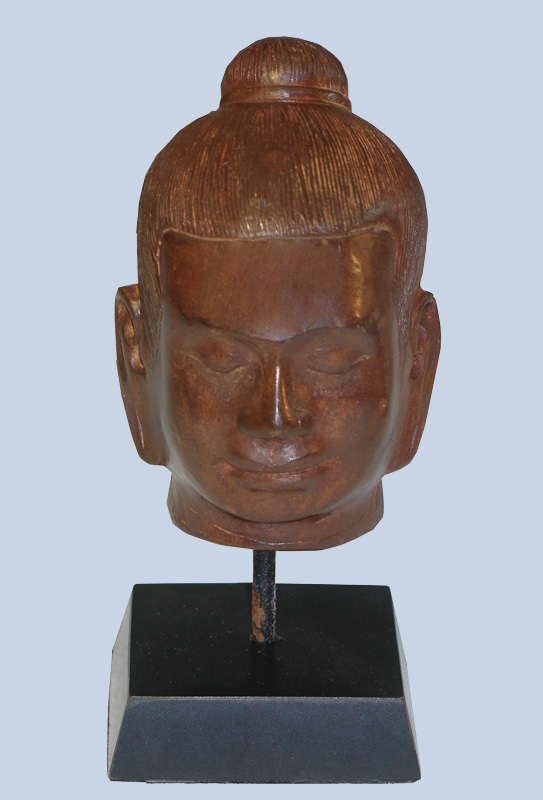 A fervent Buddhist, Jayavarman VII replaced the devaraj cult of the Hindu god Shiva with that of the Mahayana Buddhist cult of dharmaraj, Lord of the Universe. However, the sublime tranquility of this royal image suggests that more was involved than just a shift in the religious basis of royal legitimacy. Here there is no oppressive feeling of the intimidating magical powers of royal divinity, the stock-in-trade of devaraj art. Instead, naturalism and portraiture shine through, emitting a serene and charismatic power that evokes the Buddhist ethos of contemplation and inner truth. Jayavarman identified with Lokeshvara, the bodhisattva of compassion and, according to inscriptions, based his rule on the Buddhas example of virtue and compassion. 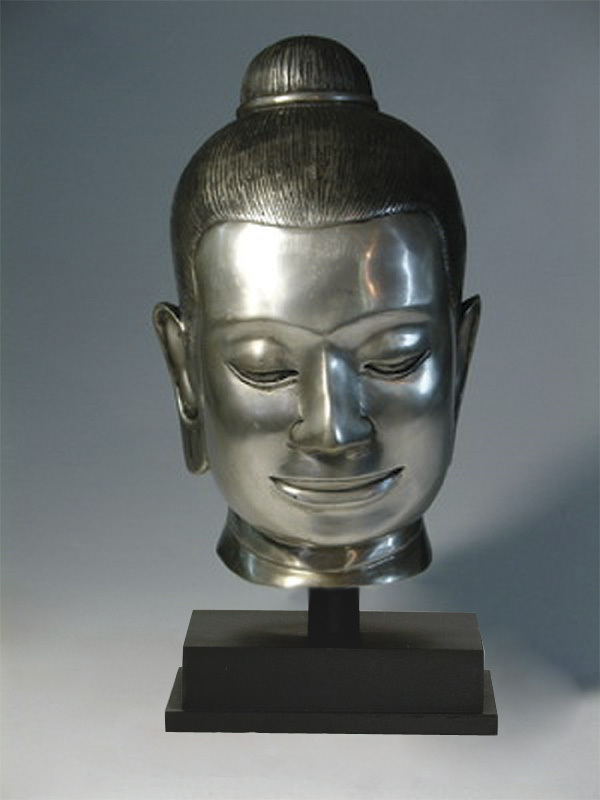 Whether the heart of this great conqueror underwent a comparable change, the art of the Khmer empire certainly did. The radical simplification of features that is apparent in this sublime portrait reverses the tradition formula: with Jayavarnman VII the gods were presented in the form of men, rather than the other way around, as had previously been the case.